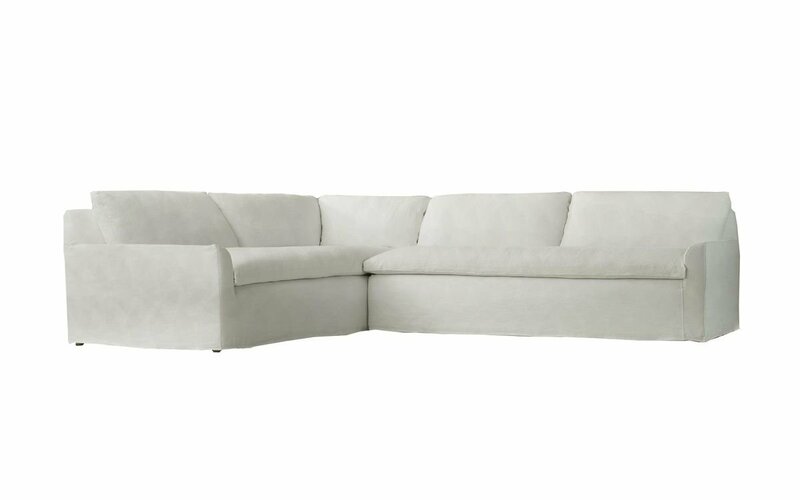 Inspired by Restoration Hardware, Azalea is a perfect example of a modern slipcovered sectional. It features fitted slipcover with dressmaker skirt, modern pillow top bench seat cushions, 36”W back pillows, and petite low Butter Knife arms that make a perfect head rest when lounging. 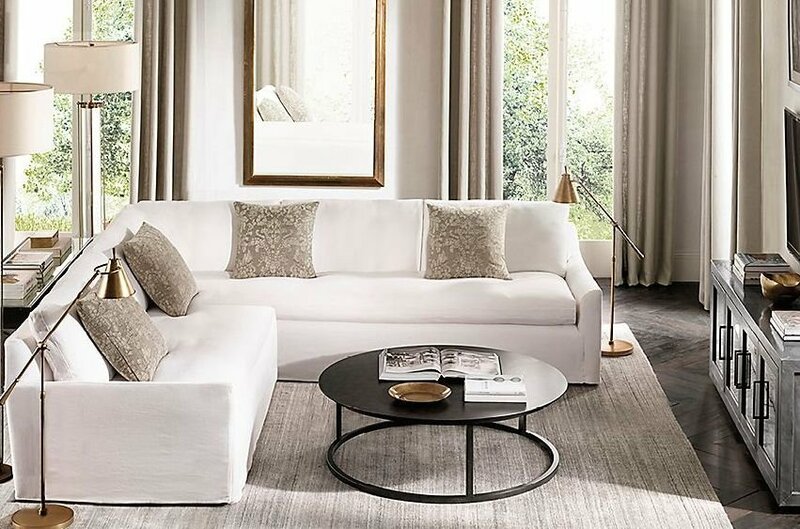 It can be ordered as an upholstered with a skirt, sleeper, in custom size, as a sectional in twenty-four configurations, choice of cushion fill and firmness, wood finish, and fabric. Please submit Request Custom Quote Form for custom pricing and special requests. If you have a difficult area to design for, want to go COM, or just want an exclusive, different design, please, call Customer Service (214) 984-4128.